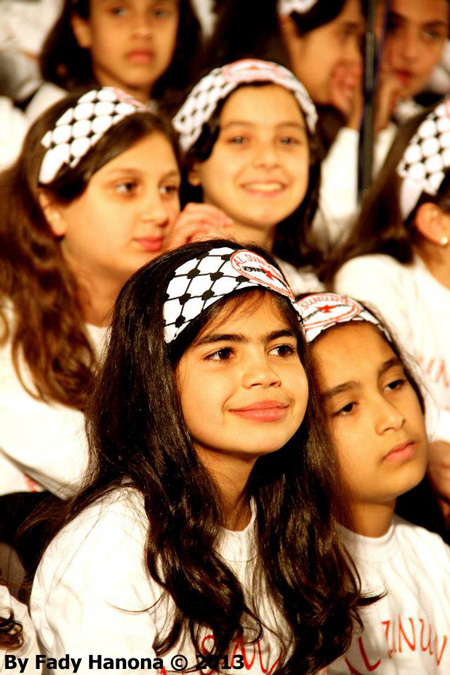 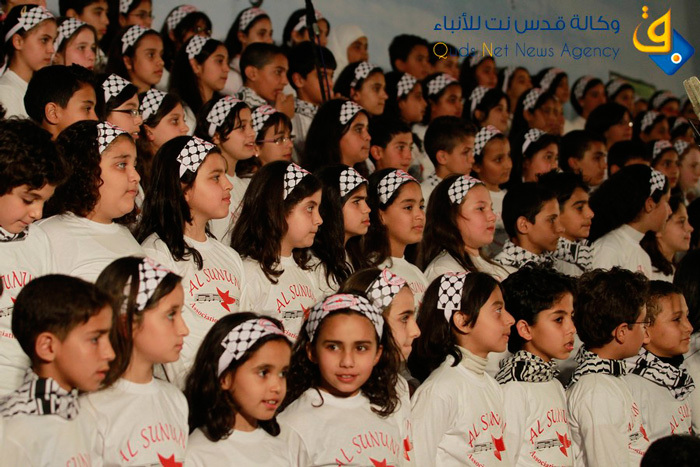 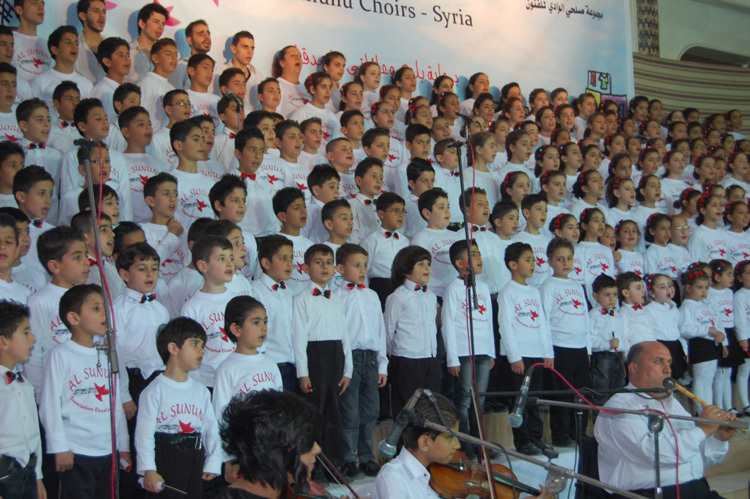 On the 23rd of April, 2013, 23 choirs made up of Palestinian refugee children located in 5 major cities in the Middle East performed simultaneously via satellite to create a single concert of their traditional music. 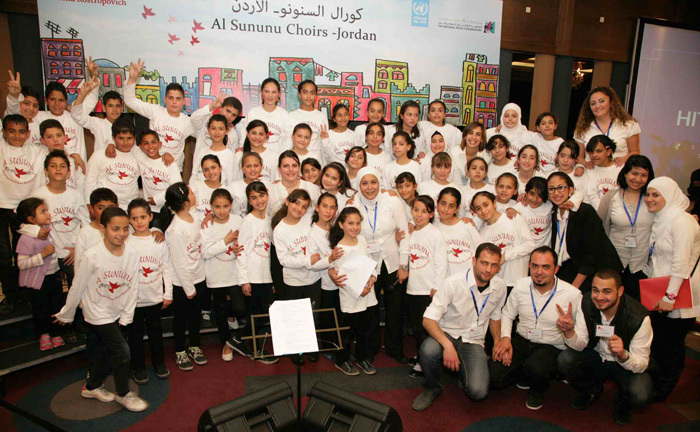 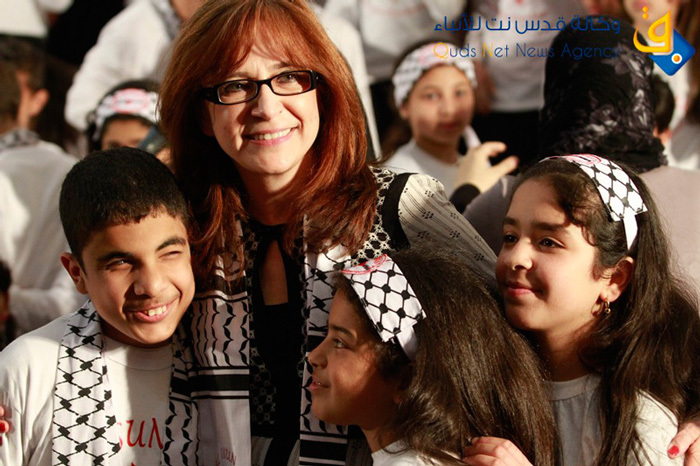 The choirs, which together include over 800 children aged from 4 to 13, performed in such diverse settings as Bethlehem (Dar Al Nadwa Theater), Gaza (Arcmed Hotel), Amman (Crowne Plaza Hotel), Damascus (Ceremony Hall, Sahnaya) and Beirut (Babel Theater). 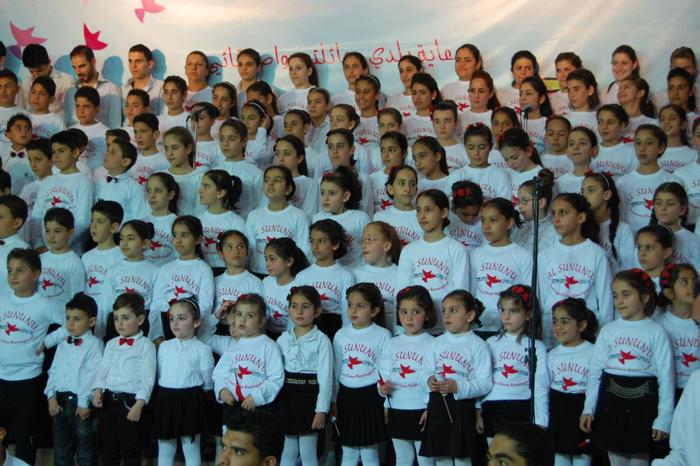 They have sung songs from their common heritage as if they were together in one location thanks to the use of satellite technology. 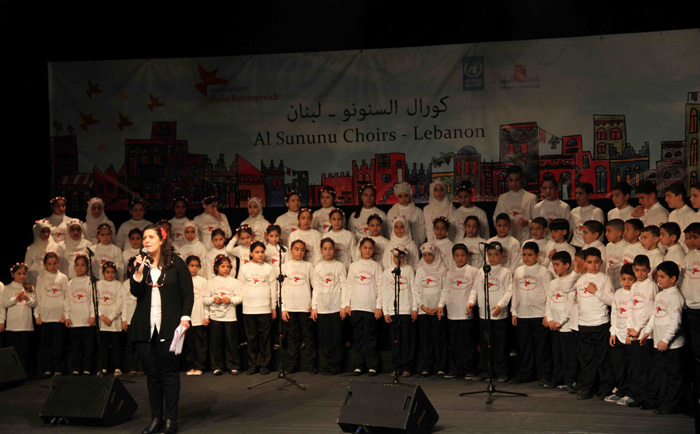 The concert has been organised and sponsored by the Association Elena Rostropovich.